Soon, Jeremy Lin will forget about his season with the Los Angeles Lakers, and his career will take him to a different team, with a new role and hopefully more playing time. Even the dream of becoming an All-Star someday isn’t completely gone. The road to that achievement just became longer due to the twists he’s had to endure. It’s easy to forget how short of a time Jeremy Lin has been in the NBA. He played a total of only 64 games in his first two seasons, first during a meaningless rookie season with the Golden State Warriors followed by his time with the New York Knicks, beginning as a player on the edge of the bench, followed by the Linsanity period which turned him into an international phenomenon almost overnight, and might be haunting him in a way almost to this day. His arrival at Houston was going to give him a chance to run a team from the beginning of the season. A point guard, trying to break out as a star, on a team trying to enter a new era of success. Not the media circus of New York, but with pressure, and expectations, maybe for the first time in his career. But then James Harden landed and everything changed. Lin didn’t have a bad first season with the Rockets, averaging 13.4 points and 6.1 assists per game, but he was a second or third act on this team, not given the opportunity to be all that he can be. The second season? His minutes dropped, and at some points midway through the season, he lost his starting job to Patrick Beverley. Overall, his per minute numbers were slightly better than in the previous season and often, when given the opportunity, Lin would show he’s good enough to star for and lead a team. But this is Harden’s team, and one of the things that has been holding Lin back is the fact that playing next to another ball-dominant guard is a problem for him. He’s not made to be an off-the-ball scorer. He needs the ball in his hands. 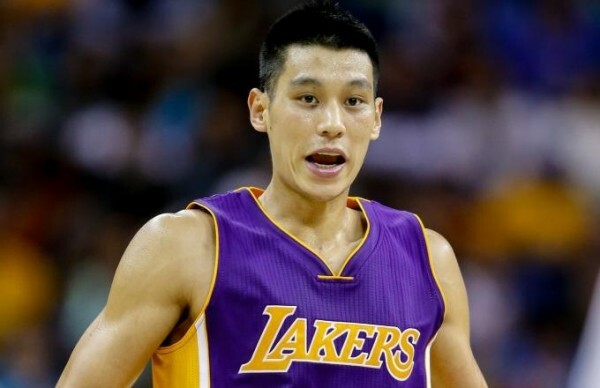 Lin was traded in the summer of 2014 to the Los Angeles Lakers. The move hasn’t proven to be a step forward in his career. More like standing in the same place, or maybe even moving backwards. First it was the time with Kobe Bryant next to him, then the irregular playing time allotted to him from Byron Scott who seemed clueless about how to make this team better from day 1. Now it’s playing on a tanking team, and the time adjustments being even more irregular. So what about being the next Steve Nash? What about the All-Star game? It’s still a possibility. Nash, for example, made it only after six NBA seasons. A lot of times, the NBA is about timing and opportunity. Lin, hitting free agency at the end of this season, needs some luck and good decision making as well when the time comes to choose a team. The Lakers can still trade him before the deadline, but he’s going to be on the market either way. The point guard position around the league is stacked. Lin is slightly different than the popular, prominent type of players dominating the position right now, but it doesn’t mean he can’t stand out. Maybe it’ll be easier for him, despite not being a score-first, pass-much-later kind of player. His defense? It’s a lot better than what the media has been trying to sell for years. Sure, he can’t stop John Wall or Kyrie Irving when they’re hot. But who exactly can among the point guards in the NBA? But the All-Star game, right now, seems far away. It’s about finding the right place for him to finally play consistent, stable minutes, where he can be at his most productive for the team that signs him, and also in a position without anyone getting in his way. It might be a lot to ask, especially for a player who is now a bit further behind in terms of “stardom” than he was when he left the Knicks in 2012. But Lin is a good enough player to prevail and come out stronger from this stretch in his career. The problem is it’s not just up to him.